National Drug Take Back Day! 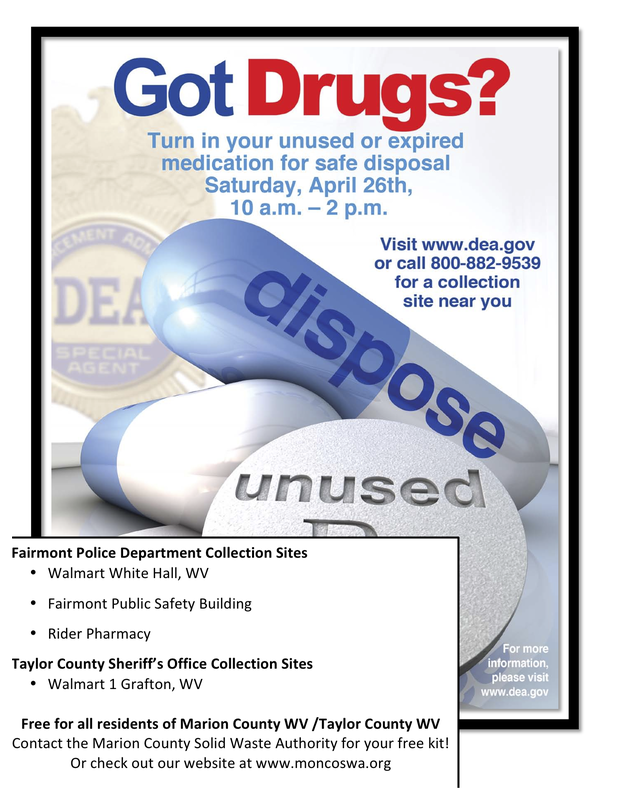 April 26 10 a.m. – 2 p.m.
Free for all residents Marion County WV /Taylor County WV Contact the Marion County Solid Waste Authority for your free proper medicine disposal kit! FREE 24/7 Recycling Drop-offs in Marion County! We are updating our new recycling site map. These are our current drop off locations. An article in The Charleston Gazette states WV Attorney General “Morrisey to spread the idea of drug disposal boxes” to increase proper disposal of medications across the state. We are proud of Marion County because our law enforcement office and some local pharmacies already make medication disposal options available to residents. The Marion County Solid Waste Authority is encouraging proper medication disposal and container recycling by providing FREE Proper Medication Disposal Kits. 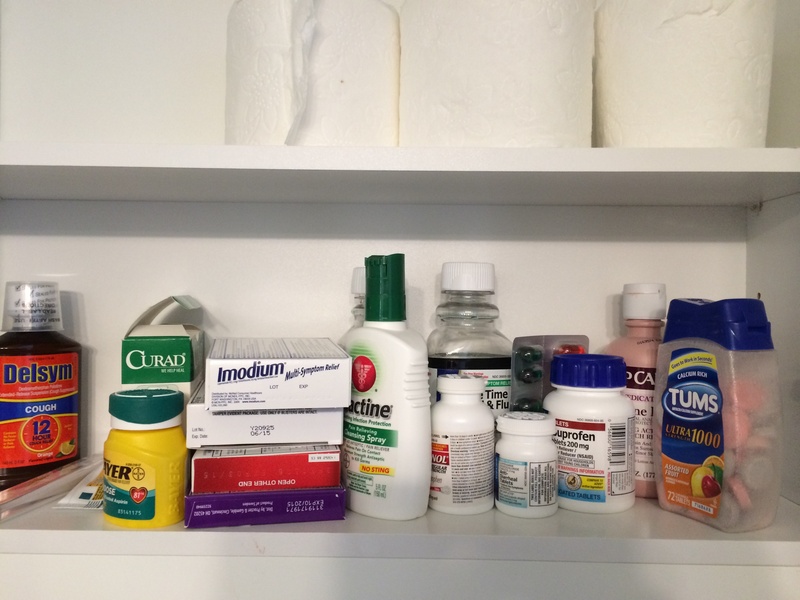 Accidental poisonings are the second leading cause of death from injuries in the U.S. for adults, children, and pets. If you are a resident of Marion County or Taylor County that would like FREE proper medication disposal kits for your home, Please contact the Marion County Solid Waste Authority. If you are an organization or agency providing services in Marion County or Taylor County that would like to provide FREE proper medication disposal kits to residents, would like to include your educational material in the kits, or would like to have us come speak about proper disposal practices and recycling, please contact the Marion County Solid Waste Authority to learn more about Project A.L.E.R.T. Project A.L.E.R.T is an effort to increase proper disposal of mediation and other special wastes through a pilot project in Marion County and Taylor County. This is the 2nd year of the pilot project in Marion County. It is a network of stakeholders that use, encounter, enforce, or dispose of common household toxins such as medication, pesticides, and other HHW. We aim to encourage proper disposal, increase recycling, and keep rural toxins out of the water system by providing accurate information to residents of our counties.